In 1835 P. T. Barnum began as a showman with his purchase and exhibition of a blind and almost completely paralyzed slave woman, Joice Heth, claimed by Barnum to have been the nurse of George Washington, and to be over 160. 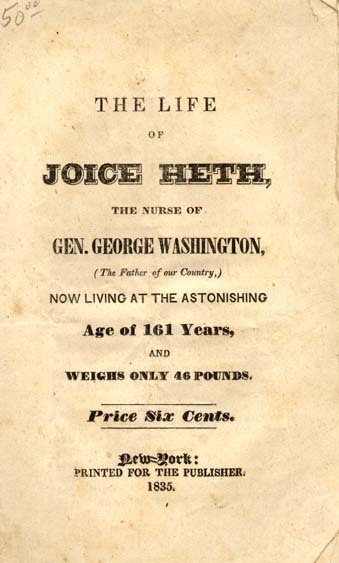 The promoter R. W. Lindsay introduced Joice Heth as the nurse of former President George Washington, but lacking success sold her in her old age to the upstart Barnum. She was toward the end of her life, blind and almost completely paralyzed (she could talk, and had some ability to move her right arm) when Barnum started to exhibit her on August 10, 1835, at Niblo's Garden in New York City. As a 7-month traveling exhibit for Barnum, Heth told stories about "little George" and sang a hymn. Eric Lott claims that Heth earned the impresario $1,500 a week, a princely sum in that era. 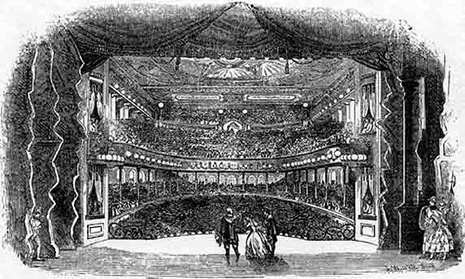 Barnum's career as a showman took off. Her case was discussed extensively in the press. Because doubt had been expressed about her age Barnum announced that upon her death she would be publicly autopsied. She died the next year; probably her actual age at the time of her death was no more than 80 years.